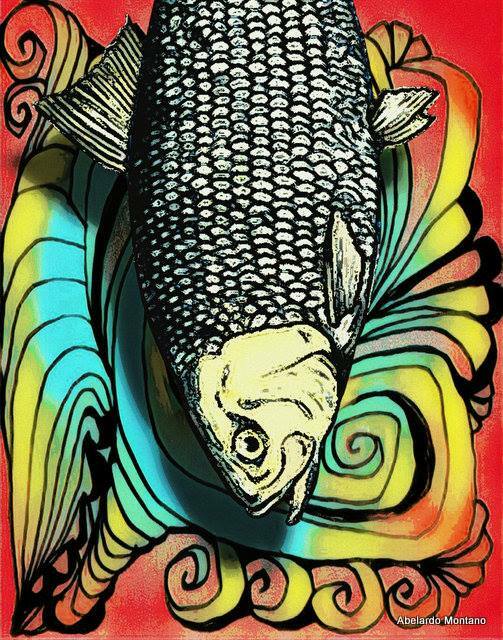 Cross Pollination Gallery in Lambertville invites the public to an opening reception of “UpStream,” a group art show celebrating spring, the river, and the fish that are coming back to spawn and start a new life cycle. The show is on view April 12 to May 11. The opening reception is Saturday, April 13, 5-8 p.m. Light refreshments will be served. Ten local artists share their view of this season by the river in painting, photography, fibers, and environmental art. They include Abelardo Montano, a Trenton artist who digitally manipulates his photographs to create images that reflect his Mexican heritage; Ayala Shimelman, a Trenton fiber artist using threads, fabrics, and other materials as an alternative to a paint brush to create an image; Erika Rachel, who creates abstract paintings, screen printing, collage, and photography in her Frenchtown studio; and Gail Bracegirdle, a Lambertville representational artist whose watercolors are filled with light and color. Tom Chiola, a Trenton artist who combines a bold palette along with a variety of tools to create textures, spaces, and forms Cross Pollination Gallery, an artists’ owned gallery, features the art of painter and sculptor SiriOm Singh and fiber artist Ayala Shimelman. It is located at 69 Bridge Street in Lambertville. Gallery hours are Thursday through Monday 11 a.m. to 5 p.m. and Tuesday and Wednesday by appointment. For more information, visit Cross Pollination Gallery at www.crosspollinationgallery.com.